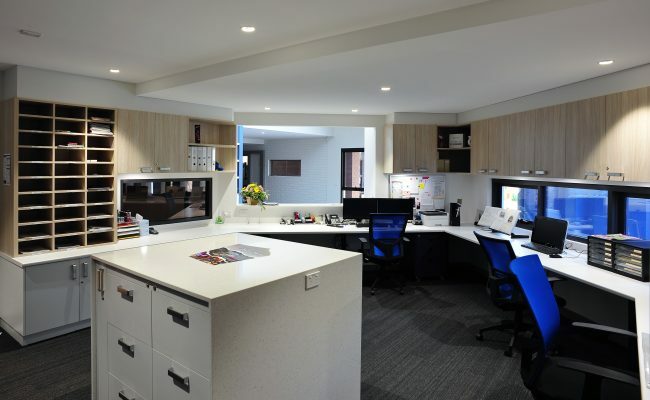 With support from the ACT block grant authority and the SNSW Seventh day Adventist Conference Office, the brief was to build a new administration office area, print room, café, waiting area, meeting room and additional classrooms, incorporating collaborative learning. 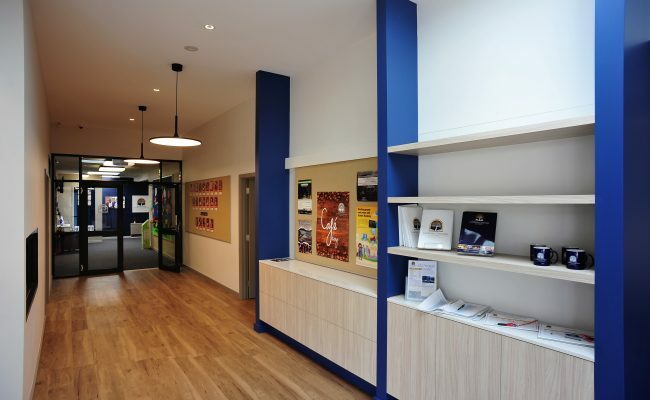 The school’s main entrance was to be emphasised, and include new entry foyer. 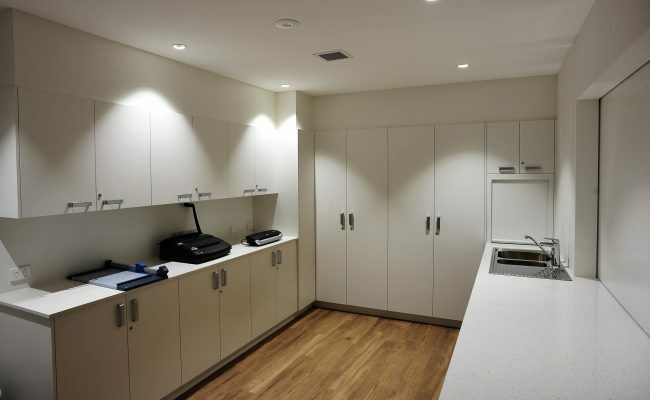 The client desired a quality finish and a family-friendly atmosphere. A master plan for the school was developed to ensure a cohesive approach to the development of the site, its desired educational outcomes and adjoining church function. From this, a staged approach was implemented to allow for future expansion and growth. 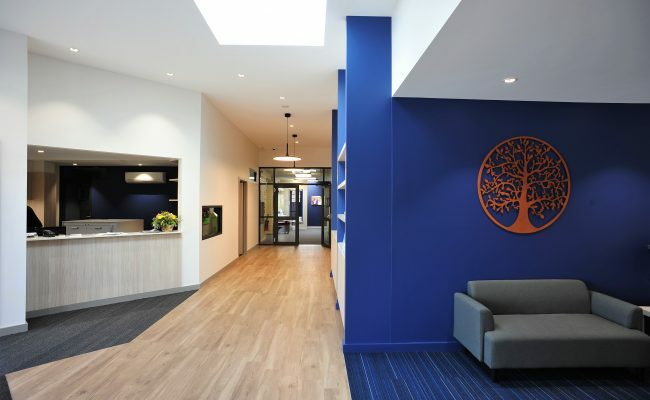 Stage 1, as described in the brief, was a collaborative effort between the client, church, builder, architect and interiors team and achieved a cost-effective solution that resulted in the desired functions, atmosphere and quality. 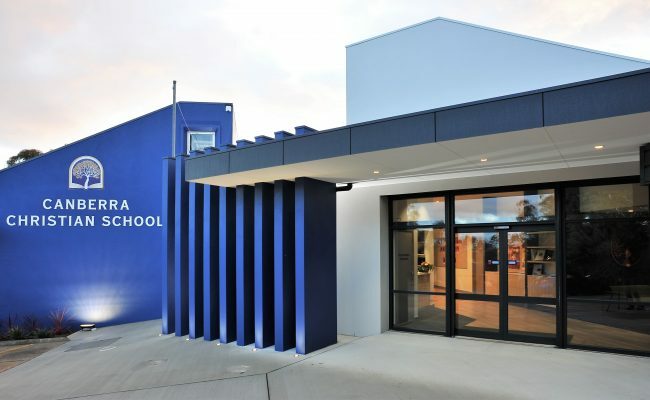 The schools interior and exterior incorporates their logo and corporate colours, and provides the sought after family-friendly atmosphere in keeping with the vision and philosophy of Canberra Christian School.